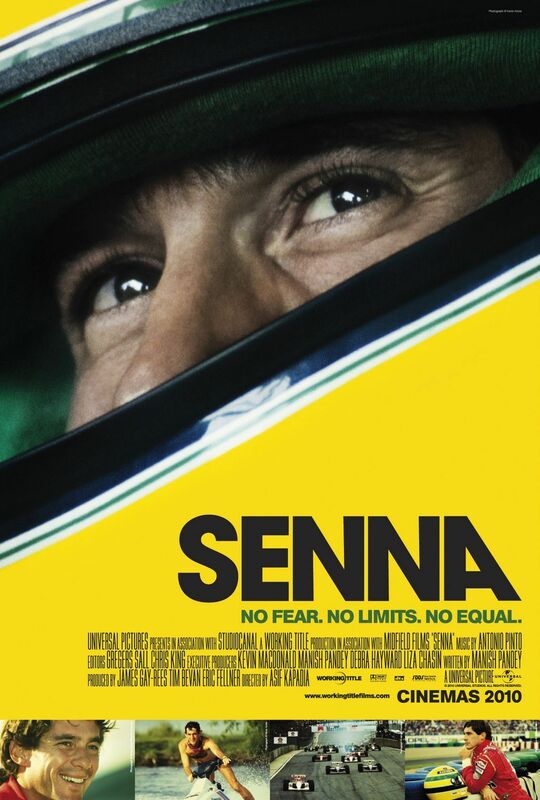 Senna directed by Asif Kapadia, won the World Cinema Audience Award at the 2011 Sundance Film Festival. It is an amazingly intimate portrait and tribute to the life of Ayrton Senna and a fascinating tale for everyone whether or not you are a fan of racing. 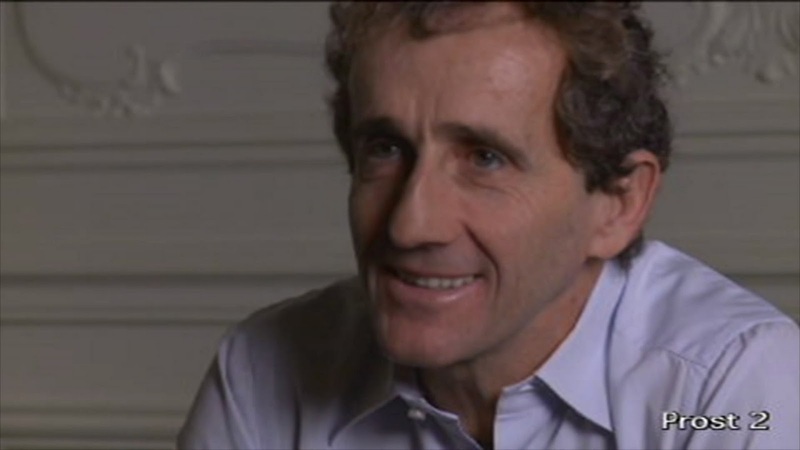 It's composed using recorded footage, some of which has never been seen before, and interviews with those close to him, including some really personal clips from his famous rival and teammate Alain Prost, discussing their adversarial relationship. But the most powerful moments come from Senna himself, narrating his own story through archived footage. 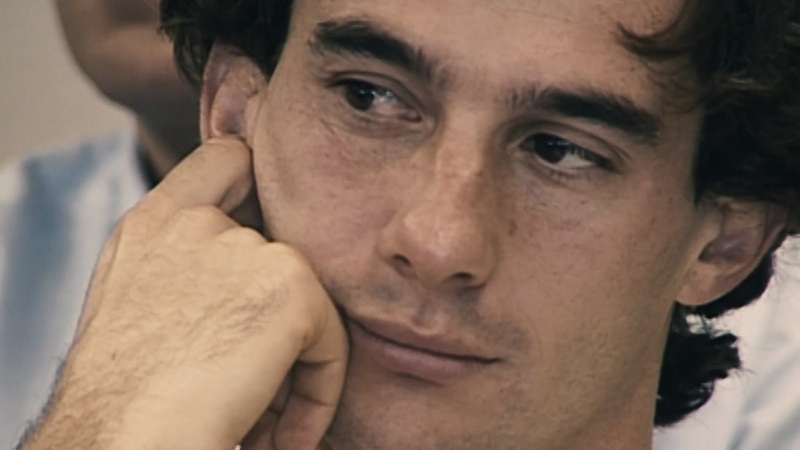 Unlike most biopics where you merely watch a story about the person, Senna is so intimately detailed you get the sense that you really know him and that makes watching the ending even more devastating. Great, I'm looking forward to reading it. I loved it. 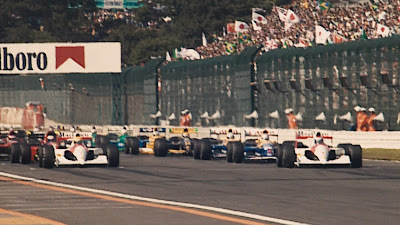 I was a big Ayrton's fan. I was so shocked when he died. I couldn't understand it. I was like 8. I just discovered your blog, and already I'm intrigued. Perhaps, I'd never have heard of this film - I suppose not - so thank you for sharing your thoughts. I'm going to watch this. Yeah that's a shame about the Oscar snub. Shows that the academy is pretty much a joke. 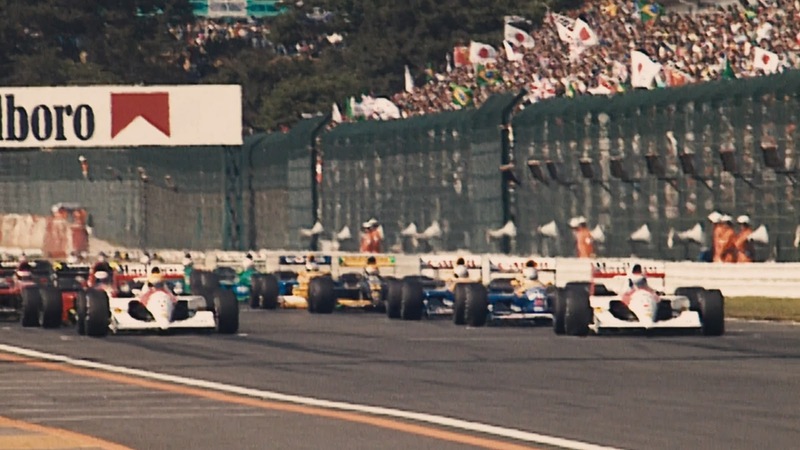 Being only eight when the events of the finale of this film unfold, I never knew who Ayrton Senna was until I watched this documentary the other night. Certainly I have some questions of why the events eventually unfolded the way they did, but this was a fascinating documentary. I love how much footage they were able to collect, like the footage from inside the car. I didn't even know that technology existed in the early 90's. 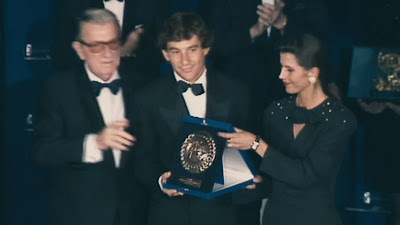 If nothing else this will represent a new generation to one of Brazil's greatest national treasures Ayrton Senna. Nice job, for my money this is the best film of the year. it was tense, moving and gripping. 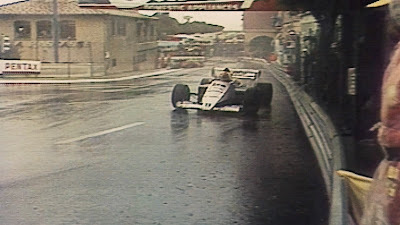 I watch F1 (pissed off Sky got the broadcasting rights) and for me the scenes at Imola were horribly tense. I knew what was going to happen and I just sat there waiting. In fear. I also found it amazing how much footage there was available to construct a film with. Not just the racing stuff but all the intimate family videos and behind the scenes clips. Cannot believe this didn't get an oscar nomination, best film i've seen this year never mind documentary. They did well to keep up the intensity, it's brilliantly edited to allow seena to tell the story himself. I'm such a documentary junkie it's not even funny. After everything I've seen it's hard to become interested in that many (what with so MANY things they can cover). And even though I'm no fan of racing of any sort this looks very, very good. I'll definitely be watching this. Is this going to make me feel really bad at the end? 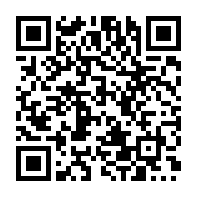 You will definitely enjoy this one. Wow, this is the first I've heard of this! 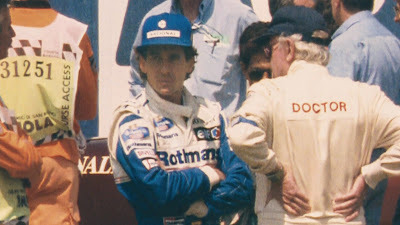 My pop and I are life-long F1 fans and he adored Senna. I can't wait to get my hands on this. 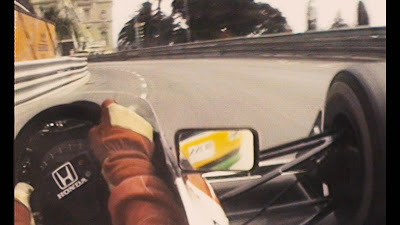 I'm going to be completing my review of Senna tomorrow. It is my top film 0f 2011 so far. I laughed, I cried. Few experiences can match this one. 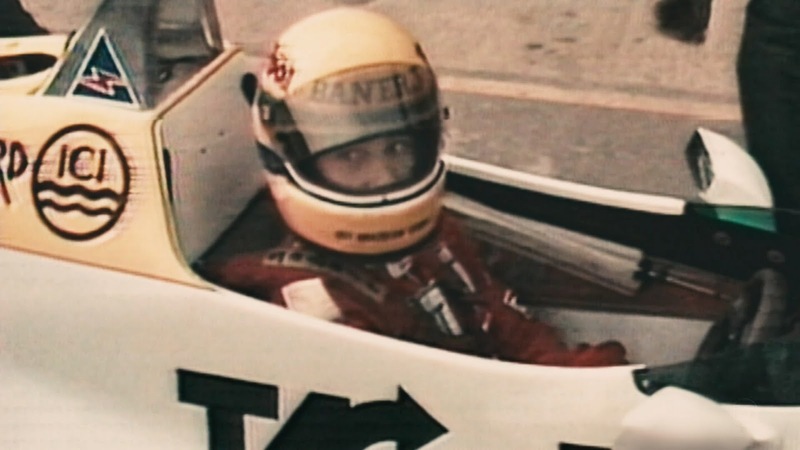 Using entirely archival footage, this is one of the best edited documentaries you will ever see.